Annie's Social Club is set to meet its new owner. Annie's Social Club closed after New Year's Eve, much to the chagrin of many. 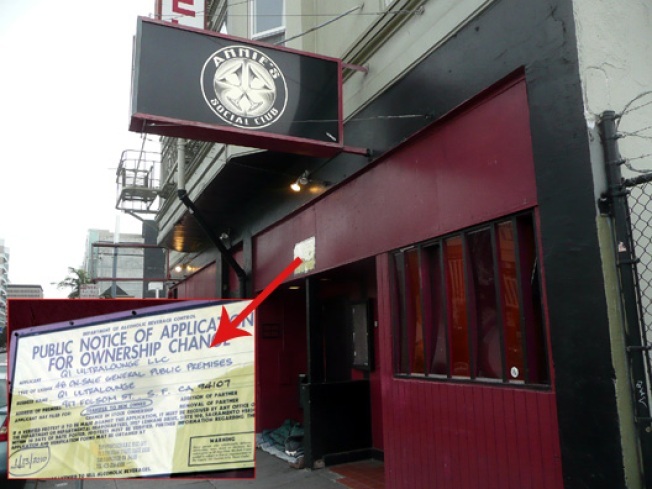 It's probably not going out on a limb to say that all those people who mourned the passing of the SoMa bar/rock club will not be pleased with the next potential inhabitant of 917 Folsom. A liquor license application has been submitted for Qi Ultralounge, meaning there's a distinct possibility that a gaudy, bottle-service nightclub-thing could be on the way. And also, could someone please define what puts the "ultra" in the ultralounge? Is it the sensuous foyers? Maybe the holograms? Our condolences, Folsom Street.